>I had to go to a convention in Chicago for work at the end of February, and let me tell you, there is nothing more exciting than spending 4 days with 30,000+ dentists (Really, I'm serious.). How, you ask, does one survive an extended weekend cooped up with every single dentist, hygienist, and assistant known to man? I'll tell you how. By taking as many non-dental related classes as possible, loading one's iPod with rockin' tunes, and making sure they don't leave the hotel room without their camera. Here are my favorites from the weekend. 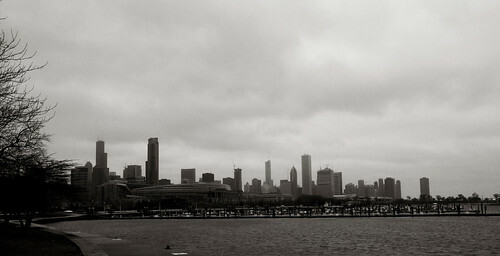 These first three were taken outside of McCormick Place, which is where the conference was held. 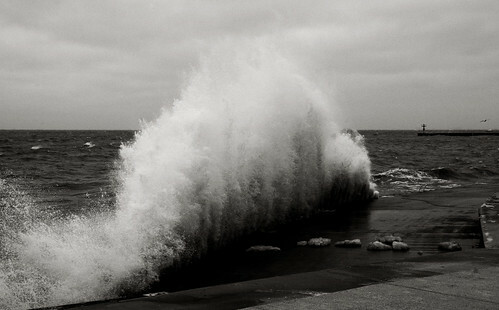 It was freezing cold, super windy, and I couldn't feel my hands by the time I got back inside, but the waves on Lake Michigan were pretty amazing, so I sucked it up. 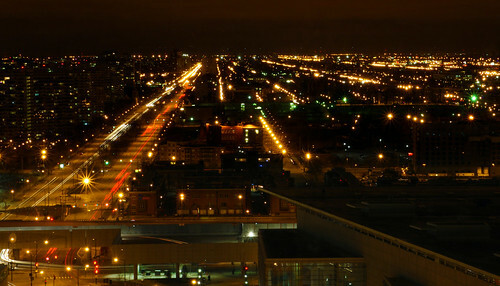 Here's a night shot from my hotel room at the Hyatt in McCormick Place. For these last two, I wanted to try out a technique I saw in a magazine. 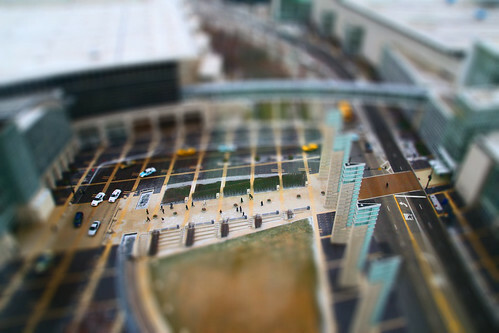 Normally, you would use a Tilt Shift lens to create this effect. I, unfortunately, lack the funds, and I'm not sure that I would use it all that much anyways. Perhaps when I win the lottery (ha!). 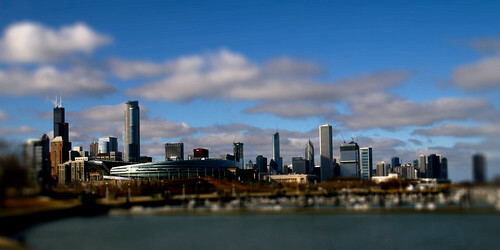 Anyways, the purpose of Tilt Shift in this particular situation is create a "miniature" look (hence the title of today's post). 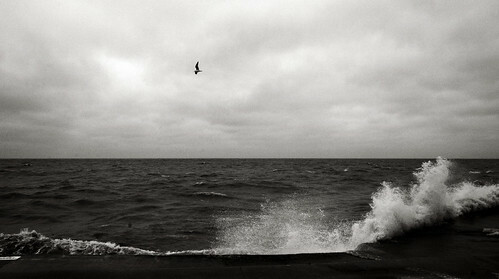 And since I was in the City, I thought, why not give it a go? Because it was my first time trying it out, I'm not sure how well I pulled it off, but I always have fun learning new things in photography. Again from my hotel room.